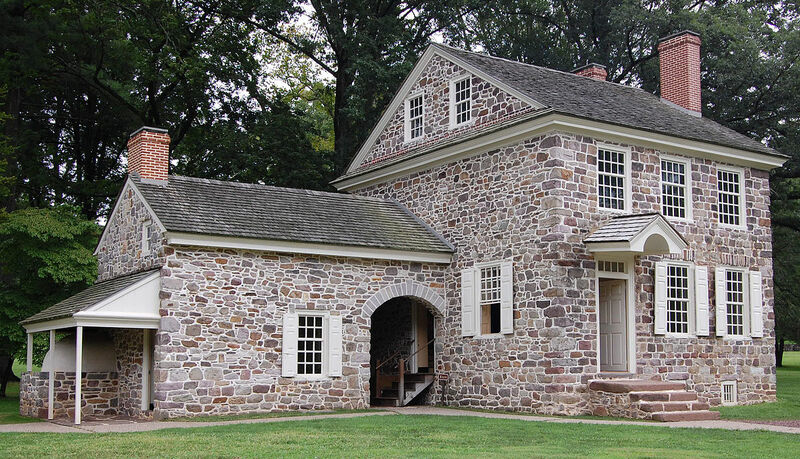 Washington’s Headquarters, also known as the Isaac Potts House, has the distinction of being the structure General Washington used as his headquarters during the 1777–1778 Valley Forge Encampment. The building could be considered the “Pentagon” of its time, as it was the place where Washington and his highest-ranking officers worked and lived during the encampment. Start your tour of the entire Headquarters complex at the restored Train Station. Enjoy an opportunity to visit the park after hours and learn about the Valley Forge encampment from George Washington himself! Presented in partnership with the Schuylkill Township Historical Commission and Valley Forge National Historical Park. After you tour Washington’s Headquarters on the August 24th Town Tour, the Washington Memorial Heritage Friends invite you to enjoy special tours of the Washington Memorial Chapel. Be sure to visit the Cabin Shop for drinks and snacks and to enjoy the carillon playing! Parking & Registration: Tours will begin at 5:30. All parking will be at Washington Memorial Chapel on Rt. 23 in Valley Forge National Historical Park. Free shuttles to Washington’s Headquarters. Please be advised of hilly terrain. Handicapped access is limited.